Blog Is #Brexit is a form of aging? I think the meta-significance of Brexit is clear- old people make poor choices based on old information of dubious veracity. In this Time article, it is noted that British pensioners voted at 3x the rate to leave the EU. At a deeper level, the problem with old people is that they have faulty attribution and tribalism at their core. 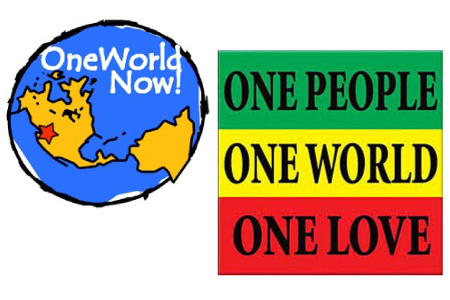 The problem is not that we live in a diverse world with competition; that is the solution. The more efficiently we can move labor, capital, and social justice to where it is needed, the more prosperous we all will be. When we look at the “Make America Great Again” movement, many of the believers long for a simpler time when institutionalized racism, sexism, and classism and a pervasive lack of competition from vanquished WWII enemies that were bombed back into the stone age for a generation (i.e. Germany and Japan ) made it possible to have a middle class lifestyle without having to compete. With the efficiency of capital movement, both human and corporate, capitalists will do what capitalists will do- they make money. There is a club of people who are Chinese, British, American, and any other country you wish to name who feel that globalization is good because they can amass great wealth and hide it in Panama. But the problem is that when you don’t view corporations as ecosystems beholden to their employees and you feel that “shareholder value” only pertains to stock purchasers, then decisions are made to benefit the top brass and the bottom line, eliminating the perceived drag of the middle management and skilled laborer. Listen to this take on the invention of “maximizing shareholder value” and how it is NOT a fiduciary or legal requirement of corporate management. I personally don’t think people should have to work and that free energy, water, food and security are attainable but unfortunately, many businesses are predicated on scarcity, war, sickness, utility payments, and disinformation. Historically, whether it be the mass lynching of Chinese workers in Los Angeles, or the “Irish need not apply” signs in the late 19th Century, when a lower class of people is threatened, they attack the latest immigrants. The first slaves in the Americas were Irish, let’s not forget. Sadly, people in the United States suffer from the same faulty attribution that Weimar Germans had. It is not hatred of others but love for a phantom national identity predicated on a mythology that elicits the xenophobia and nationalism that allows fascism and the destruction of civil liberty to take place. The iPhone maker Foxconn just introduced robots to replace 60,000 Chinese workers but still people don’t think the Apple Corporation is the problem but rather cheap labor in China. 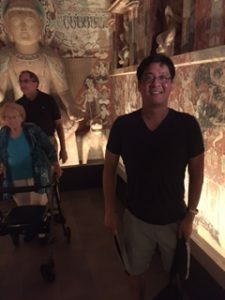 I was at the Getty Center yesterday seeing a wonderful exhibit about the Buddhist caves along the Silk Road when two things happened in real time to make me wonder why we still have these problems. 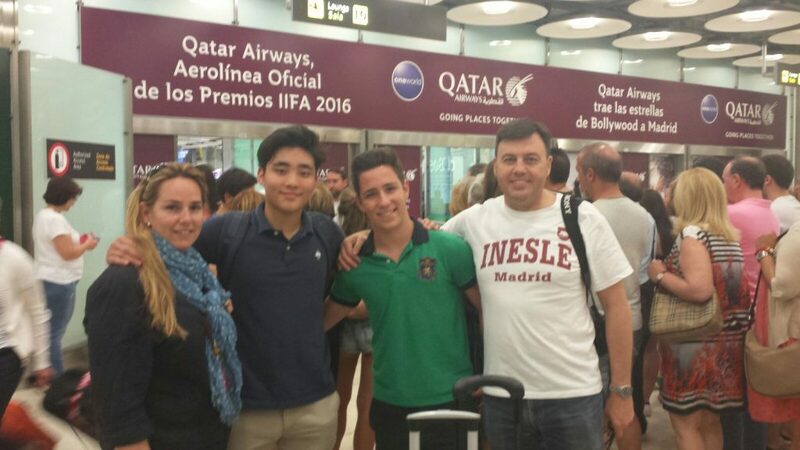 I received a picture of my son arriving with his ethnically Cataluñan host family in the Madrid airport in real time. My friends I made in line were kind enough to tell me Evan’s host family’s name was Cataluñan and he recorded a sweet voice message, delivered in real time to “please take care of Evan, from his dad”. The host father, nine time zones away, immediate sent back a free voice message in Catalan saying Evan was doing great and sent us “hugs”. The second sign from the universe was that I received an email from my supplier of Astragalus extract in Chengdu, China, while later touring the museum. 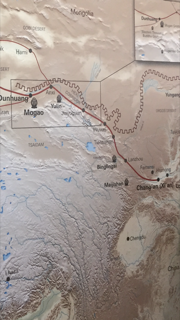 Looking at the map of the Silk Road, I was able to understand for the first time where Chengdu was on a map. Those two events made possibly by my smartphone (made in China, taxes in Ireland, and profiting the shareholders everywhere) made me understand that the future is not one of #brexit #frexit or #texit but rather one of increasing unity. We have apps to see and talk with anyone in the world in real time. Why the need for all this division and mistrust? This is a global world. We are global citizens. There is no future if we allow ourselves to devolve into isolated and tribal warring fascist states. The stories we tell ourselves about the good old days amount to ‘Archie Bunkerism’ and there is a better world in store that shouldn’t be taken from our children just because we think things were better because they were more rigged and we had smaller affinity circles. Colonialism and capitalism made people rich through wars and social conflict. But we are coming into a post-scarcity age and that should legitimately terrify some people who make their livings off the fear and toil of frightened masses. Thankfully, technology is bringing us all together so that we don’t need to believe stories about how different “the other” is. Even Cold Warrior Ronald Reagan, after seeing nuclear apocalypse TV movie “The Day After” had the epiphany that the evil Soviet Empire consisted of real people. If an old Republican like him could cross that divide, maybe there his hope for all of us? Baloney. Seniors display wisdom on average. Youth have no history or perspective. I have to respectfully disagree. The breakdown of Brexit favoring voters revealed an old white, uneducated, poor, and xenophobic demographic that was displaying overt “Archibunkerism”. The educated, affluent, and worldly younger people of the UK had the perspective of imagining a history that they wish to claim and a perspective of globalism as beneficial instead of threatening.